Blizzard Entertainment sent a press release to all Battle.net subscribers giving a round up of events to happen at BlizzCon, and the goodies obtained by purchasing the BlizzCon Virtual Ticket to watch the livestream. IRVINE, Calif. –(BUSINESS WIRE)– BlizzCon® 2013, Blizzard Entertainment’s two-day gaming festival, makes a long-awaited return on Friday, November 8 , at the Anaheim Convention Center in Anaheim, CA. The sold-out show celebrates all things geek, featuring sneak peeks at what’s going on behind the scenes at Blizzard Entertainment . This year’s BlizzCon includes discussion panels with Blizzard developers; community cosplayers; and Duncan Jones , director of the upcoming Warcraft® film. Also taking place are the StarCraft® II World Championship Series Global Final and World of Warcraft® Arena Invitational, in which top pro gamers from around the world will be competing for cash prizes and ultimate glory. Jay Mohr is back this year to host the ever-popular community contests, and SoCal punk legends Blink-182 will be performing an epic rock concert to wrap up the show on Saturday night. 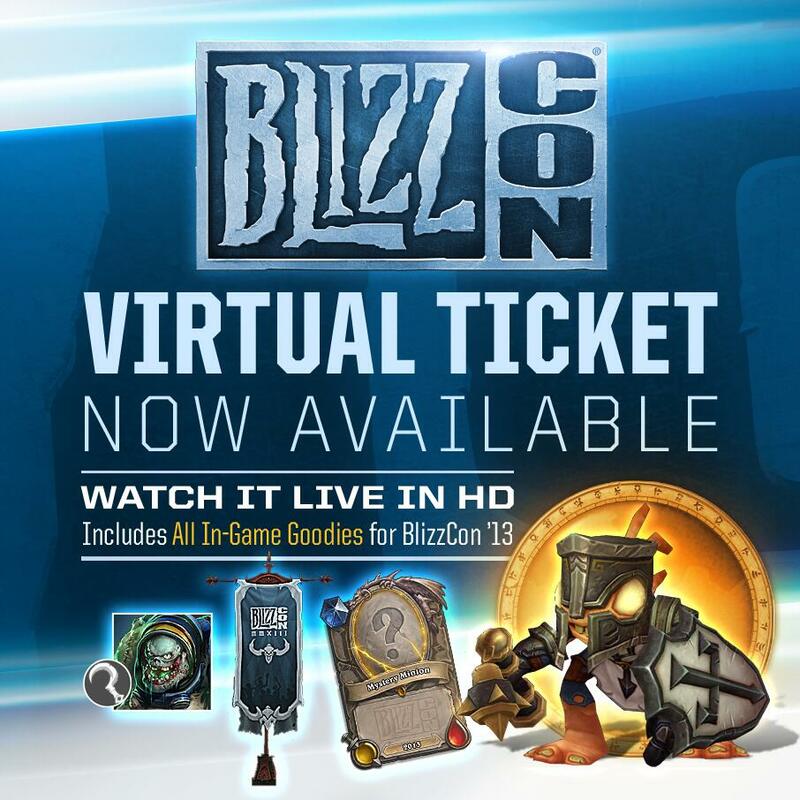 DIRECTV® customers in the United States can also order BlizzCon 2013 as a Pay Per View event and receive a free Virtual Ticket. In addition, the BlizzCon opening ceremony and eSports tournaments will be streamed free online at www.blizzcon.com. 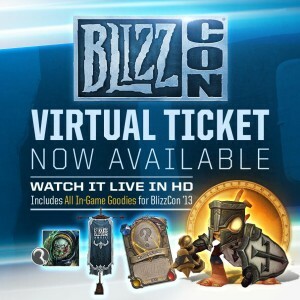 More info on the Virtual Ticket can be found at www.blizzcon.com/virtual-ticket/. BlizzCons of years past have featured an array of exciting panels, unveilings, and entertainment, including the world debuts of the latest World of Warcraft content, the first-ever public hands-on with StarCraft II and Diablo III, and epic rock performances by Foo Fighters and Tenacious D.
BlizzCon would not be possible without the enthusiasm of Blizzard Entertainment gamers around the world and the generous support of the event’s partners, who provide demo-station hardware, peripherals, and more. This year’s sponsors are Intel, NVIDIA, Sony Computer Entertainment , DIRECTV, SteelSeries, GIGABYTE, Rosewill, and EVGA. Anyone attending BlizzCon who’s looking to join the ranks at Blizzard should bring their resumes, portfolios, or business cards. The Blizzard recruiting team will be on hand to review materials and discuss any job-related questions. More information on available Blizzard career opportunities can be found at http://jobs.blizzard.com, LinkedIn Blizzard Careers, and http://twitter.com/@blizzardcareers.